A modern visitor to the Topsmead State Forest may think he or she has stepped into a Harry Potter novel. 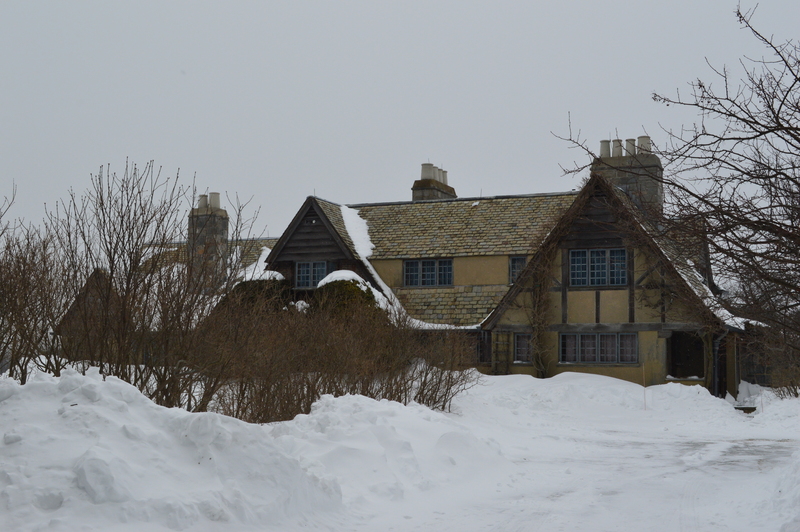 The English cottage at the hilltop – the name means “top of the meadow” – is reminiscent of the Weasley clan’s home in J.K. Rowling’s novels. The home and grounds, however, are reminders of an important era of the region’s history. Topsmead was the summer home of Edith Morton Chase and her companions, Mary and Lucy Burrall. The former headquarters of Chase Brass and Copper, designed by Cass Gilbert who also designed the Woolworth Building in New York and the Supreme Court building in Washington, DC. Ms. Chase was the daughter of Henry Sabin Chase, the first president of Chase Brass and Copper Company, founded in Waterbury in 1876. 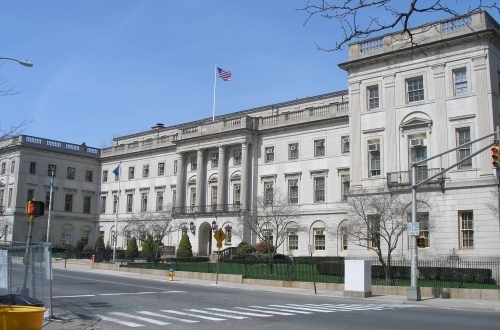 The company became one of the most profitable businesses in the city, and Chase hired the noted architect Cass Gilbert to design the corporate headquarters across the street from Waterbury’s City Hall. Shortly before his death in 1917, Chase purchased 16 acres on East Litchfield’s Jefferson Hill as a gift for his daughter, who built a small cottage on the grounds. Over the next 55 years, Edith Chase made twenty-four additional land purchases, enlarging the estate to 511 acres. Ms. Chase hired architect Richard Henry Dana, Jr. (who designed the main building of St. Margaret McTernan’s school, established by Henry Chase and now called Chase Collegiate) to create a grander house. Dana designed a structure in the English Tudor style, with brick and stucco walls, and a slate roof. The interior walls are oak and stucco, and the house was decorated with 17th century antiques. 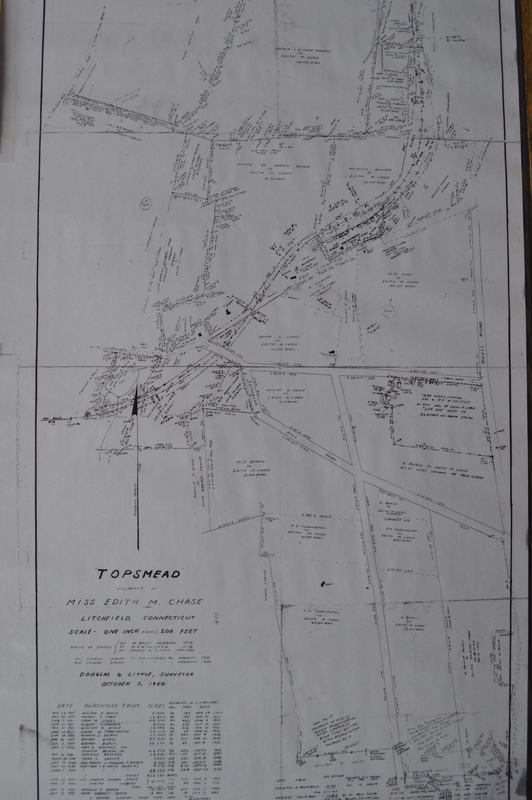 Property map of Topsmead, displayed at the site. Edith Chase was a lover of the outdoors and she paid great attention to the landscaping. Formal gardens surround the house, apple trees line the driveway, and holly and lilac grow against the house. In 1927, Ms. Chase purchased the adjoining Buell Farm, which was used to produce the estate’s food, with vegetable gardens, dairy operations, and beef, hogs, sheep, and poultry. 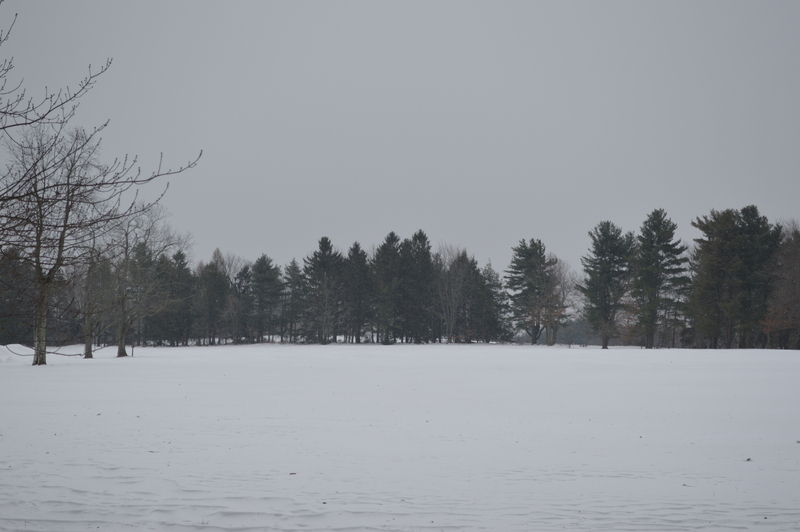 The Topsmead meadow in winter, a wonderful spot for snowshoeing or cross-country skiing. Edith Morton Chase died in 1972 and willed her estate to the people of Connecticut. It was renamed Topsmead State Forest, and thanks to an endowment left by Chase it preserves much of the estate as it appeared at her death. Particularly significant is the meadow, which preserves a landscape that has been lost in much of Connecticut. 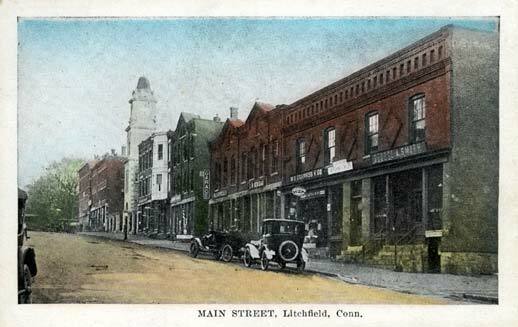 This entry was posted in Architecture, History, Nature and tagged brass, Cass Gilbert, Chase, East Litchfield, Topsmead, Waterbury by pvermily. Bookmark the permalink.